Use a luxurious range of tools for your makeup application. 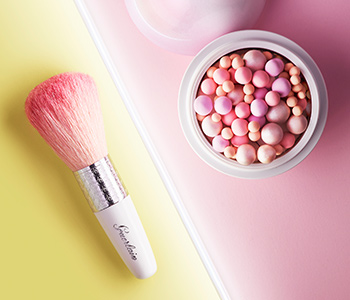 The GUERLAIN accessories collection provides professional quality make up brushes that allow for a more polished make up look. From kabuki brushes to powder brushes, each and every tool is created to the highest specification, and is made with the finest quality hair for even application. An indulgent collection that makes for a flawless complexion.